When homeowners think of termite treatment, the typical image they’ll conjure up is a home closed up in a tent being pumped full of fumes. In fact, home tenting is still the method that most companies use to eliminate termites in Hermosa Beach, California. But it’s not the only or even the most effective way. At Kilter Termite and Pest Control, we’re proud to offer a more convenient alternative to fumigation. At Kilter, we use the innovative KILGUARD system which targets termite infestation sites directly. There are no fumes or odors involved with our termite treatment method, so our customers don’t need to deal with the additional hassle and expense of finding other accommodations. Nor will they have to worry about any negative health consequences. Most importantly, KILGUARD completely eliminates infestations of both drywood and subterranean termites and stops them from coming back. The quality of our termite control products is matched only by that of our service. For example, Kilter provides free termite inspections, so homeowners can get an honest assessment of their homes without incurring any cost or obligation. We also only employ trained and experienced technicians to ensure the job is completed correctly. 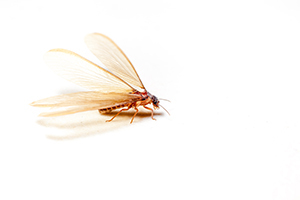 And, we offer a two-year warranty on our services, so our customers can have peace of mind knowing termites won’t soon return to their homes. For more information about the termite treatment services that Kilter Termite and Pest Control provides in Hermosa Beach, CA, contact us today.